Meaning, I’m not actively concerned with the literal number that pops up on the screen when I open Facebook, Instagram or YouTube. I feel like so many boutique owners get caught in the numbers trap. Now don’t get confused. Do I think you should celebrate your wins? Of course. I totally get excited when I see I’ve hit a new 100 or 1000 level! What I don’t love is your mindset linked to these numbers. Especially when it’s a matter of a few here and there. “This is happening”— so I’m going to define how I feel based on that. Not only is it bad mindset practice, it’s also contributing to the up and down of your boutique! Remember, what we think, we create. And when we think about how bad things are… we actively are creating more bad things/times. It’s a TRAP. Do you feel your mood and self worth being defined by the numbers you see on the screen, in your bank account or even on the scale?? We’ve GOT to fix this (maybe not all at once) ASAP! The reason your growth is inconsistent is because your mindset is inconsistent. Do you feel like you are in a WINTER RUT? The cold weather or lack of sunshine is getting you down? Did you know there are ways to combat this? 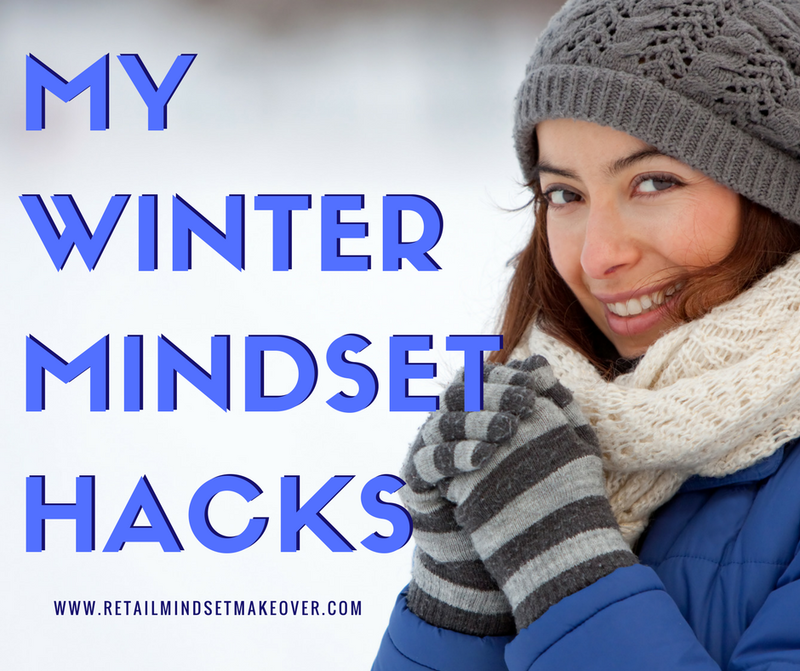 In today's MINDSET MAKEOVER FOCUS, I want to talk about how the winter has been (maybe?) crushing you and simple solutions you can use! 1. Take extra vitamin D (you can probably take more than you think!). You can easily have a doctor run the test for you (I did!) and you'll see that most people who live in a place where winter hits are vitamin D deficient. When I was tested, my levels were so low that I was on 50,000 IUDs a week for 8 weeks! WOW right? Now, when I'm in the US during winter months, I'll take 10,000 a week, either all at once or over the course of the week. Check with your doctor to see if this might work for you. I know it made me drastically happier (results will vary)! I have something to confess: I made more money in the month of December 2017, than I did the entire year of 2015. I love talking about making money. And as an entrepreneur, I’ve made a lot of money. But in 2015, I didn’t. I almost cried when I actually SAW what happened in the numbers. You see, I started my mobile boutique The Fashion Truck in early 2011. It took off with massive success. I opened a brick and mortar version in 2013 and slowly had a downward spiral into the depths of my own mind. Turns out, I don’t really like sitting in a store (even though I had the cutest store ever!). In 2015, I wrote my book, The Ultimate Boutique Handbook, and consequently became deeply depressed. My energy became really dull and super scattered- I was teaching illustration classes, doing styling and closet clean outs, hosting a massive food truck festival and, oh yeah, still running my 2 boutiques. I WAS A HOT, DEPRESSED MESS. Believe it or not, my entire revenue in my business that year was a whopping $38,993.77. Yep, the woman who was making well into six figures the previous years suddenly nose dived. I paid myself $12,066.66 (I’m not kidding, these numbers are directly from my profit and loss statement) and luckily I survived with the help of my now fiancé when it came to splitting the bills. But... SOMETHING HAD TO CHANGE. Mid-2015 I decided to sign up for a group coaching program where the coach talked a lot about this thing called ‘mindset’. I had never heard of it before, but I was interested. I liked the idea of shifting thoughts, and a this point, I’d try anything. I went hard and fast... instead of running away from my fears and problems, I ran at them with every technique I could find. Most of 2016, I even had my own mindset coach who pushed me on every tiny trigger that would come up. By 2017, my entire life had COMPLETELY CHANGED. I was off the anxiety meds, sober, traveling the world, making money while I slept and utterly in love with my life. Cut to December 2017 when my revenue was $45,073.51…FOR THE MONTH. What's shocking to me is that once I set my mind to change, it took me about 2 years to go 360. Only 2 years! It’s time I teach this to you. Mindset has become the most important topic I teach in 2018. I need you to get in on this. ASAP. I’m over seeing the “mindset stuff” pop up in The Fashion Truck Tribe, and I bet you’re over it yourself. 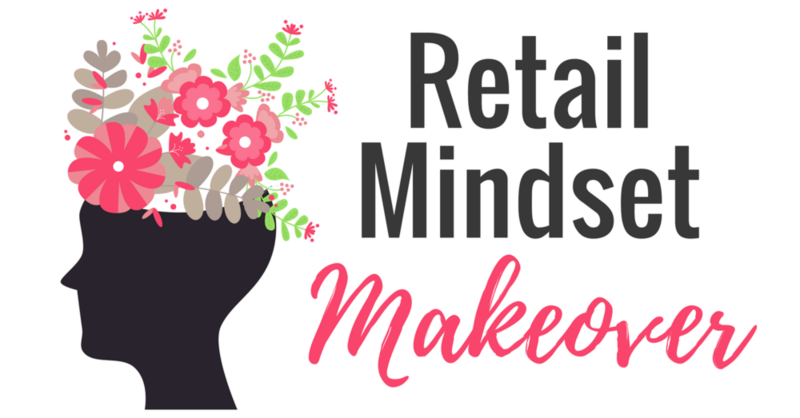 I’ve decided to give you a taste of my second book and the EXACT steps I took to transform my life in a 4 week Bootcamp-style course called the Retail Mindset Makeover. 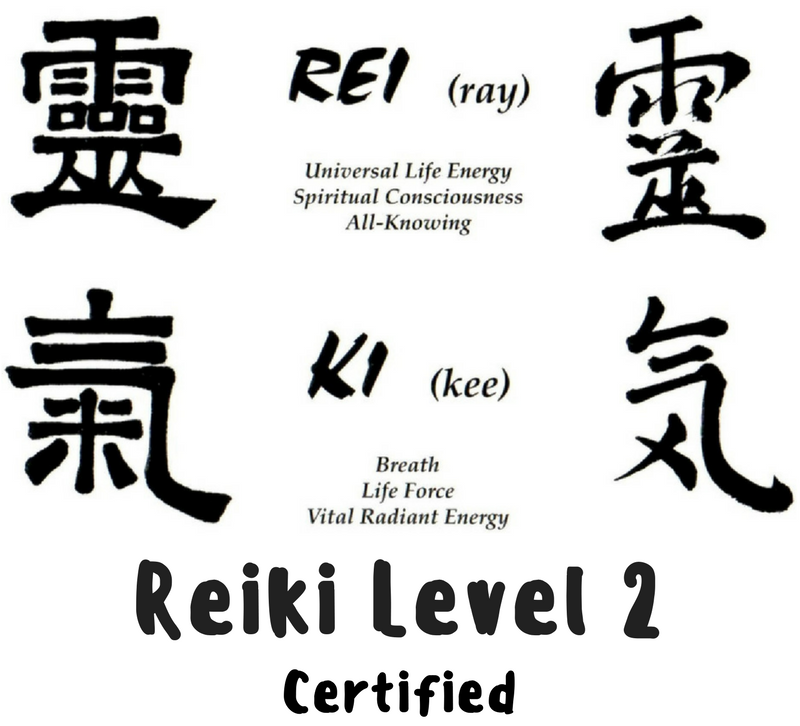 In 2017, I did a ton of trainings on my spiritual side: I got Reiki level 2 certified, I became a May Cause Miracles facilitator and completed my Spiritual Teacher Training with Gabby Bernstein's Spirit Junkie Masterclass. I flew to Sedona to meditate in powerful vortexes, have shaman healings, go to Native American medicine wheels and dive even deeper into the work I'm here on this planet to do. I took up Kundalini yoga and recorded transformational meditation tracks for my membership site. Whatever you believe, mindset work is the deepest level of business training you can study. It's a lifelong journey of self love. "Where there's self love, there's no fear. And where there's no fear, there's no anger." Or what I like to say... no worry. I'm ready to teach you how to tame your worry, master your mind and create more peace inside you and your business. Does that sound like something you'd like in your life? The 4 week course will open for registration on March 22. It will be the only time I teach this course LIVE and IN PERSON with you. We have a problem in the boutique industry. Women get excited about selling fashion. They do all the legwork to order merchandise, set up their store, their website and social media accounts. And then 2-6-52 weeks later, they find me. Talking about how to solve the problems they’re having. I hear you. You need ideas. You need to know WHY this is happening to you. You need to be saved. My quick answer… it’s happening FOR YOU. For you to learn whatever lesson you need to learn. Maybe it’s about working on your mindset (this is most women! )… or learning proper online marketing strategies… or you need a cheerleader. In 2011, when I wanted to start The Fashion Truck, none of this existed. There were 1-2 other trucks I could find. There were no boutique communities in Facebook Groups, there were no books and certainly no mentors. That’s why I’m here. To help solve the problems you are having… similar to ones I had when I opened. And problems I’ve had over the past 7 years as I was growing, shifting and changing business models. 80% of boutiques fail in the first 3 years. Why? 3 reasons: 1. They run out of money, 2. The owners have a lack of education and 3. Not outshining the competition. You’re investment in education will help you NOT run out of money and show up as a shiny boutique owner who customers love. But buying clothes and putting up a website isn’t going to cut it anymore… it’s just not enough. And you need to know… there’s going to be a lot of free information out there. But if you REALLY want to be saved… you might need to dig deeper inside yourself. Or you might need to pay for help. Over the past 2 and a half years, I’ve invested close to $25,000 in courses, coaches, trainings and events. Yep, that’s like buying a CAR! Have I made that money back? Yep— I’ve about 6x that investment just this year alone. Why did I invest so much? Because LEARNING. When you don’t know WHY you are struggling you need to know one thing… you aren’t going to find the answer in a day, in a post or in an email. I want to help all of you who reach out… but I’m just ONE person. And I can’t see inside your heart, head and daily business ins and outs. Even if you do tell me your backstory or where you are at now, maybe I can point you in a good direction, but most likely, you need to do the real work, invest the time to do it, and sometimes even invest the money to learn what you need to learn in this moment in time. My best advice for you: Look inside yourself, hard. Have you REALLY given it your all to sell your heart out? Are you TRULY being consistent with your actions in your marketing? Have you seen all the options I offer from $9.99 and up? I believe in you... probably more than you believe in yourself. I know you can have a successful boutique you work in full time and make a full, living salary. Time for you to do it for yourself! PS: Six Figure Blueprint, my beloved 3 month group coaching program is opening for registration again very soon... Make sure you are the first to know when doors open by clicking here and getting yourself on the waitlist. Back in May, my best friend said to me, “Emily, you aren’t allowed to act surprised when your business becomes massive in a few months. You just need to be excited.” She said that because honestly, when I start a business, I go all in. There is no ‘Plan B’, no savings to fall back on and no one to do it for me. I am really proud to say that I’ve now started and ramped 2 businesses up to 6-figures in under 2 years time; because as of early September, this business officially hit 6-figures in revenue for the year. And no, I’m not surprised. I expect to be successful. I have notebooks on notebooks of affirmations, plans of my future life to come true (lots have already! ), journaled feelings and experiences; hundreds of hours of books on success on Audible, Abraham Hicks on YouTube and with my own coaches on calls. I 100% manifested my business to look exactly like it does today back in late December. See, if you haven’t caught on yet, now’s a good time to use my business as an example for yourself. Mindset is 90% of business, period. You might want to believe that learning new SEO for your website will gain you more traffic, or posting more on social media will get you more sales, or there is some missing clue about Instagram that will get you more followers. That’s not the answer to you making more money, it’s just not. Mindset comes first, and then the action is inspired from it. 1. Obsession: You HAVE TO BE OBSESSED with your business. No, not obsessed with worrying about how much money you will make this month.Obsessed with helping your people, obsessed with making them happy, obsessed with listening to them, obsessed with trying new things to see what works. If you haven’t noticed, I’m obsessed with you. You ask questions in The Fashion Truck Tribe, and I make podcasts to answer. You talk about being worried about money, I do a live stream about money mindset. You need a low priced, easy access way to learn how to run your boutique better, I create the Boutique Elite Membership. I am always listening to what you need and responding. The next book I’m writing all about mindset for boutique owners, also comes from my obsession. It’s so clearly in my path to write this book that I dreamt the cover one night in July. I woke up and feverishly sketched it in a notebook. I sent that sketch to my photographer… and last week on the biggest high-end shopping street in Paris, we shot that dream in real life. My body was vibrating as she took the photos. Talk about your dreams becoming reality. My dreams are my reality, literally. 2. Expectation: And not false expectations. A deep, resonating belief that your life is the one you’ve been dreaming of. The idea that no matter what has happened in your life and business until now— it can take a massive 180 in the opposite direction if you decide you want it to. I teach about affirmations and positive mindset as a way to create a new life for yourself. At first, it can feel fake. That’s where most women drop off. They don’t really believe what I’m talking about, and they don’t see it immediately show up… so they drop the practice. 3. Intuition: Do you trust yourself? No, like when that little voice says: “do this!” Do you listen? So many of us have learned to use logic as the deciding factor in decision making. Did you know that recently Harvard Business School conducted a study that said the most successful CEOs base decisions on their intuition, even if it goes against all logic? I’ve been re-learning to tap into my intuition in a deep way this year. Last Memorial Day (2016), I called a friend livid about business practices I was hearing about in the direct selling fashion world. It went against all my retail business experience and because I’m so passionate about helping women entrepreneurs succeed, I was angry to my core. Did I do anything about it? No… because I didn’t listen to my intuition to do something. This May 2017 I had lunch with a colleague and she said to me, “Are you helping those direct selling ladies? Because they need you.” My gut had been saying this for awhile, and the Universe clearly was sending a message via my friend for me to wake up and do something! A day later I did one of my most watched Facebook Lives (over 15k views as of me writing this!) and two weeks later I had my highest revenue weekend to that point in time. Just imagine how many more women I could have helped if I listened to my gut last year? I think I’ve realized I’m probably never going to be the coach that enjoys talking about Shopify apps, or Instagram engagement. Because I’m not convinced that it’s the answer to your boutique’s success. Want to get the inside scoop? Ready to make the money you dream about? That saying started it all. Started me on this journey from worrying about my debit card working in line at the grocery store, to booking trains and apartments around Europe. You see, in 2015, I was struggling. My boutiques had been doing incredible for 4 straight years. But suddenly, I wasn’t doing great. I was unhappy, overworked, depressed and because of all that, not making much money anymore. I saw a HUGE decrease in sales all of a sudden. I went from #SixFigureSuccess to worried about literally every penny. It kept me up at night. I was scared to open my banking app because I hated seeing it with $8.00 in it. I would make a bunch of money, pay all the bills, and then have just enough to get groceries. Was it the economy? Was it a snowy winter? Was it women just not wanting to shop? I was a hot mess who had hit a wall. While I looked for answers and was forced to rest, my bank account got a bit hairy. Until I was introduced to this thing called Money Mindset. I was living in a state of lack, constantly talking about how I didn’t have enough, I didn’t know how I was ever going to make the next sale and always focused on how my bank account was low. Most women I work with think it goes the other way: When they have no money, they worry about money. But really, think about it… have you seen that when you are worried about money is when THE worst things happen. A parking ticket, unexpected bills, some random thing you owe money to all of a sudden? Yes! It’s like ‘waking up on the wrong side of the bed’ (or bank!) and as the day goes on, it just gets worse. Bad money days can last a lifetime. Most likely you have thoughts about money (a “money story”) that were stuck in your head a longggg time ago. And because you haven’t realized or been told (hi!) yet that you have a superpower to change those thoughts, they simply haven’t changed. What I need you to know is that YOU CAN CHANGE THE TRAJECTORY OF YOUR MONEY STORY. I did it, and you can too. When I was introduced to this idea, I thought it was bullsh*t. 2 years later I’m riding high as a kite on my fab money mindset. So yeah, I was dead wrong. Fixing my money story allowed me to open up to find my next path in life and has lead me down the rabbit hole of trying to help you! You need to know that there is no level of Facebook or sales training that will work when you have a mindset of lack. But what happens when you face the crappy money mindset and re-organize the energy to one of abundance (even if it feels fake at first) is things start to change. Orders start coming in, random emails from new customers, or big opportunities show up for you. Again, I know because this has been my past 2 years. The abundant opportunities continue to show up over and over in bigger and better ways. Last month, we were upgraded to a $900 a night 5-start hotel suite in Bath, England just because. SERIOUSLY. I can’t make this stuff up! If you aren’t in one of my programs yet, let’s start here. I need you to stop talking smack about not having money. What you think about you create… so want to become a powerful creator? Two of the most crucial keys to success in retail business are MONEY MINDSET and FACEBOOK LIVE. I truly believe that once you have these two things ready to go, you'll have the kickstart you need to crush the holiday season! For a very limited time, I'm offering this bundle at an insanely low price to help you get your money mindset in check so you can become the wealthiest version of yourself! - Money Mindset Mastery: a 20 page fillable PDF mini course that will show you the exact steps I've taken to open myself up to abundance and my second six figure business! - Facebook Live Like a Pro: a Step by Step mini course on how to get clear on your Facebook Live selling strategy! Wondering how to make sales when you hit "Go Live"? Just plain terrified about showing up on your FB page? I'll show you how to create a plan, show up, and sell! But I believe that it's important you invest in yourself, and why not invest in something that's going to make an incredible change in your life? If you are ready for a shift, this bundle is for you! Both mini courses are self-study so you can get them now, start today or next week!